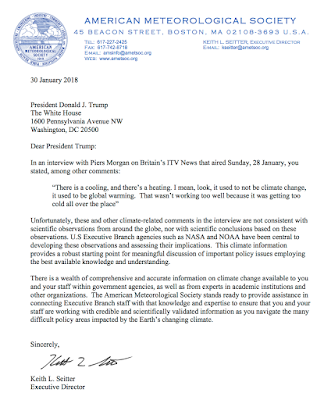 As I have stated on a number of occasions, the American Meteorological Society (AMS) has, too often, crossed from being a scientific society dedicated to advancing weather science to a political organization dedicated to advancing global warming. I resigned from the society two years ago for this reason and have been publicly critical of the AMS for this change in emphasis. 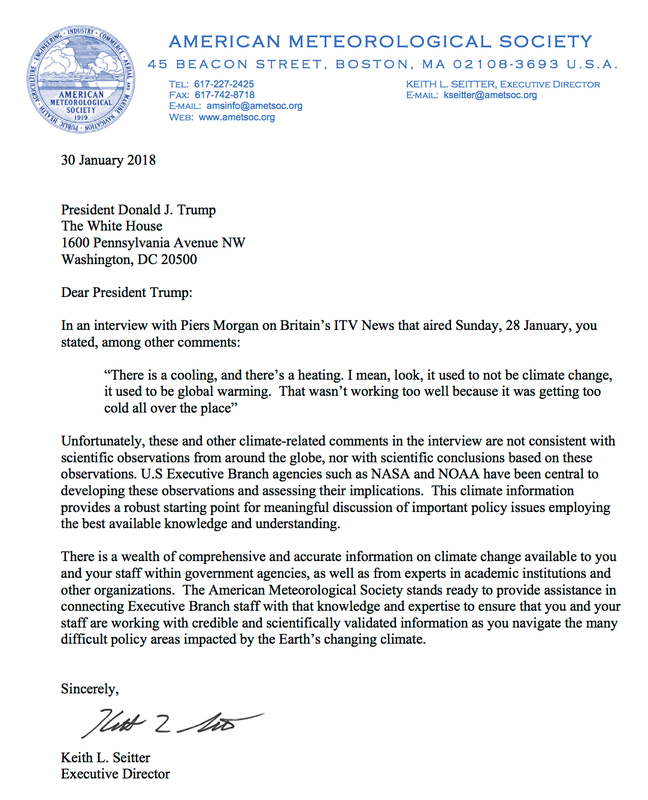 So, I was pleased earlier today to see this letter from the AMS to President Trump. It was constructive and well-written. Kudos.